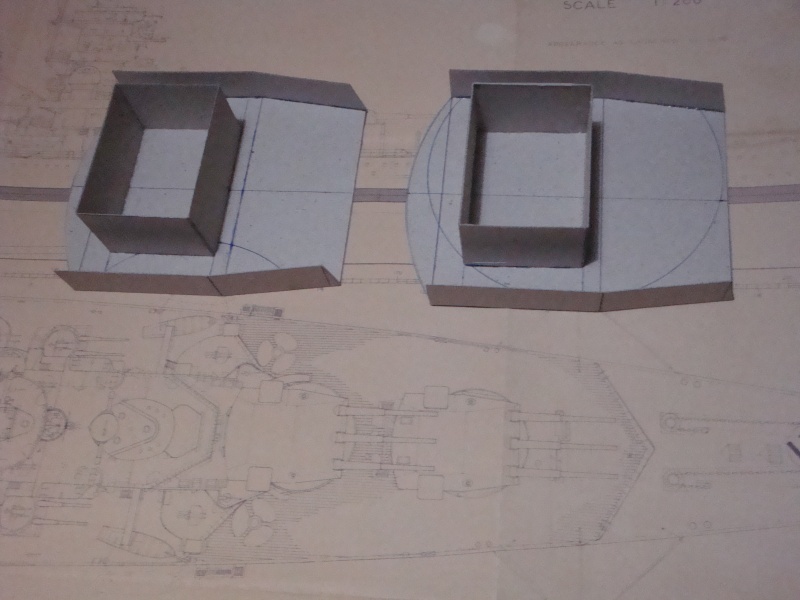 Below are some picrures of the works in progress on the hull. 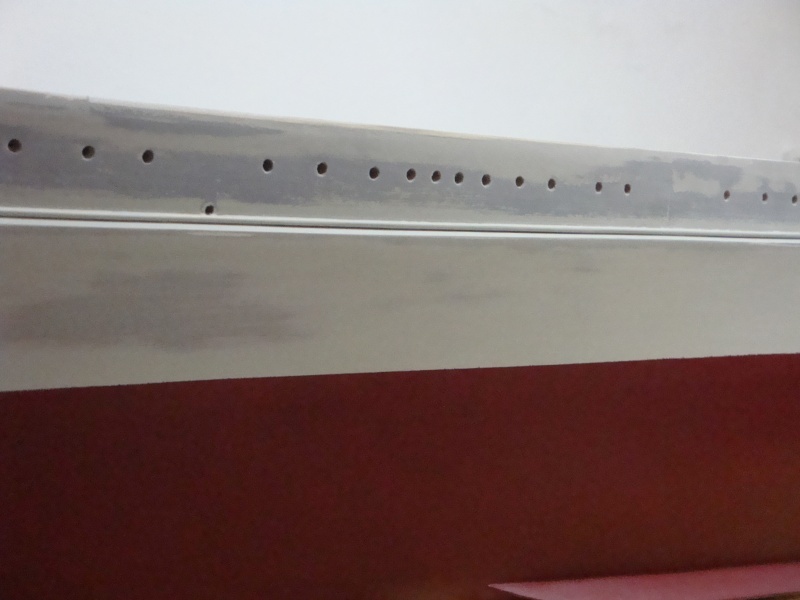 The material used for the construction of the hull is 1mm thick grey cardboard, which can be found in 900mm x 1000mm sheets. 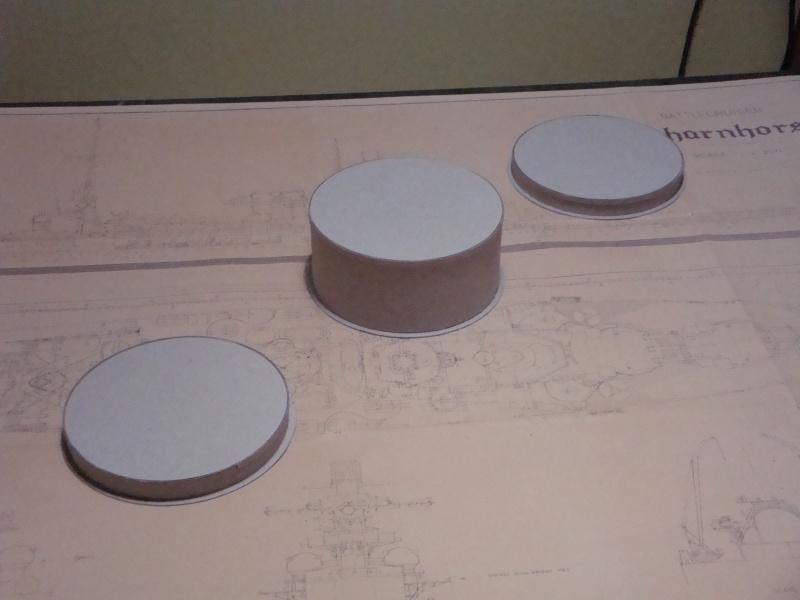 The hull is made up of 6 to 8 laminations of this type of cardboard. 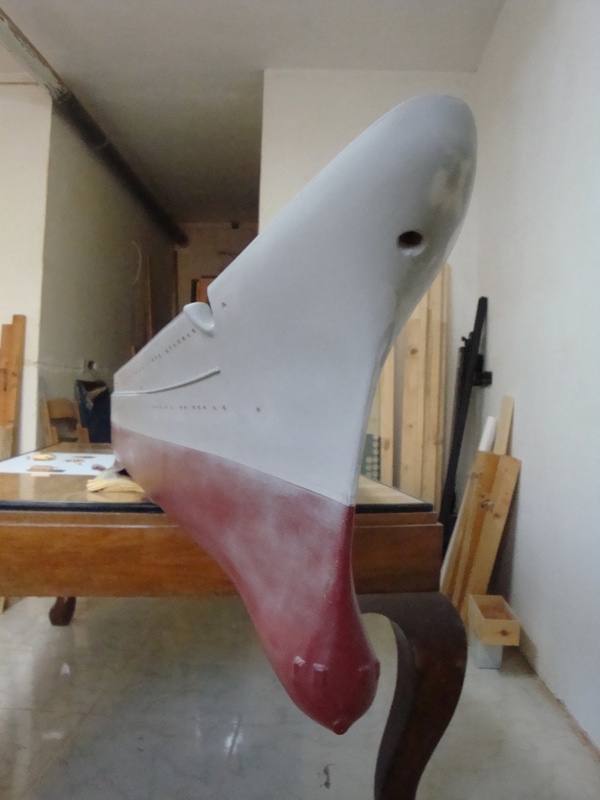 and was sanded down like normal wood, once it has been treated with the primer paint. 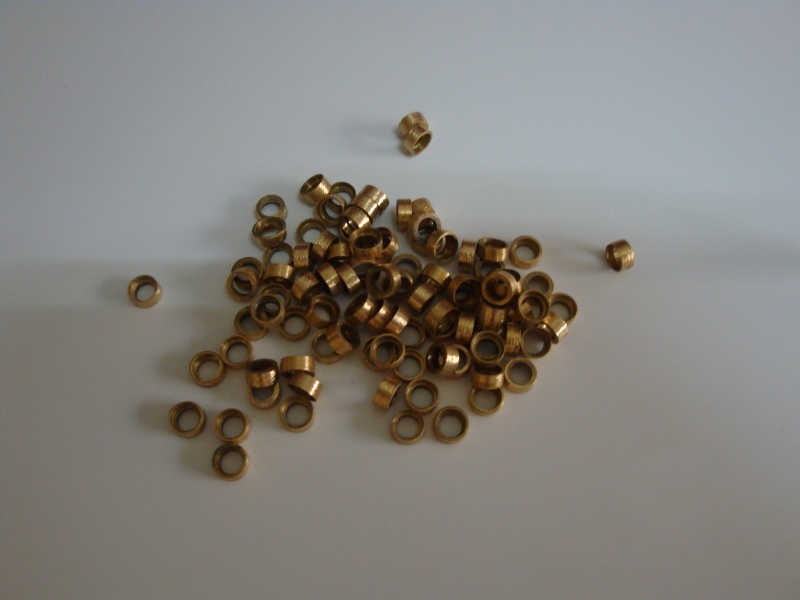 I had to modify the brass portholes on my lathe, in order to cut off the flange, as German portholes had no flange on the outside of the ship side; but was always on the inside. 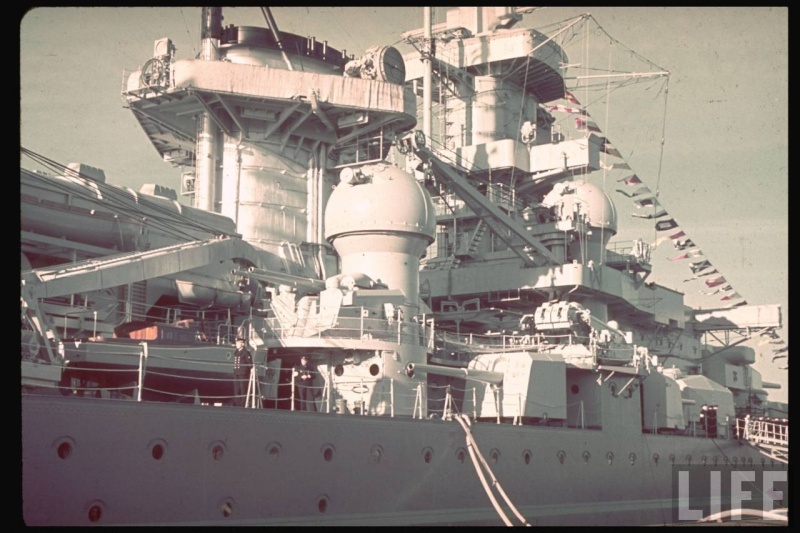 Around 300 portholes are required for both the starboard and portside of the ship. 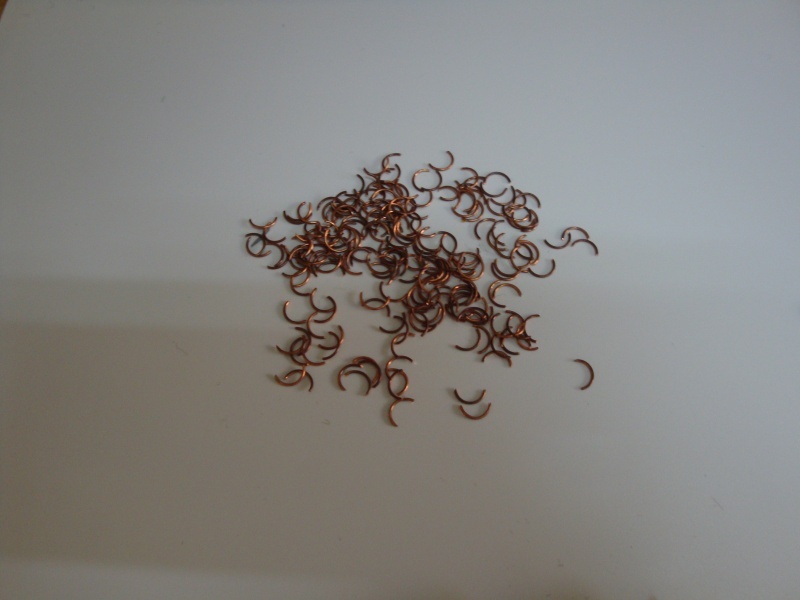 The porthole eyebrows, made from 0.3mm copper wire. 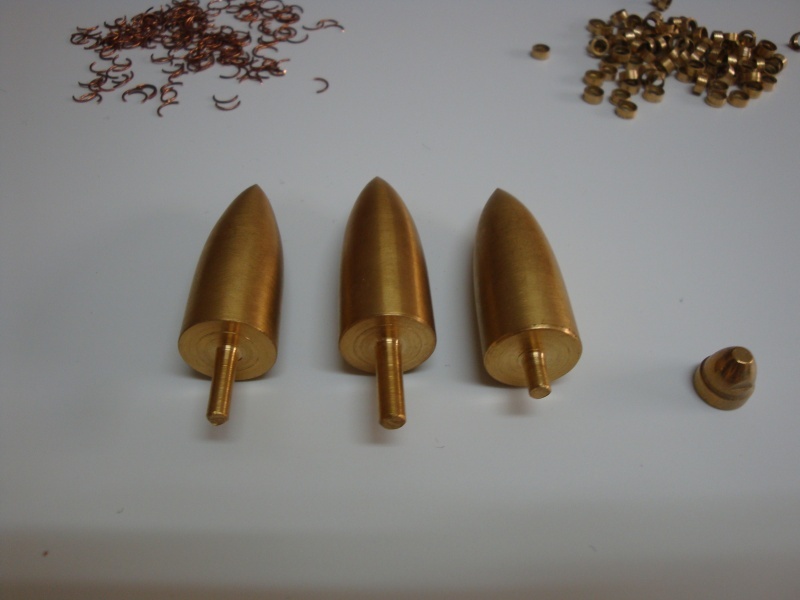 The brass propeller spinners, turned on the lathe. An advise for all marine modellers. 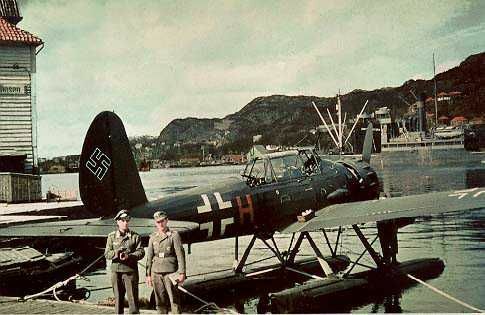 German Propeller spinners have a very different streamline then that of the Bristish and Allied counterparts. They are longer and the end of the spinners resemble the shape of a rocket. 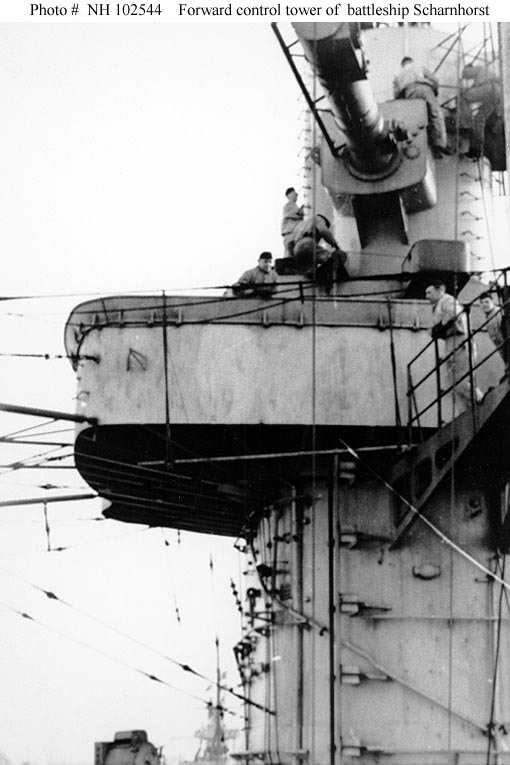 A view of the Starboard side showing the propeller shafts and the "A" type support brackets. 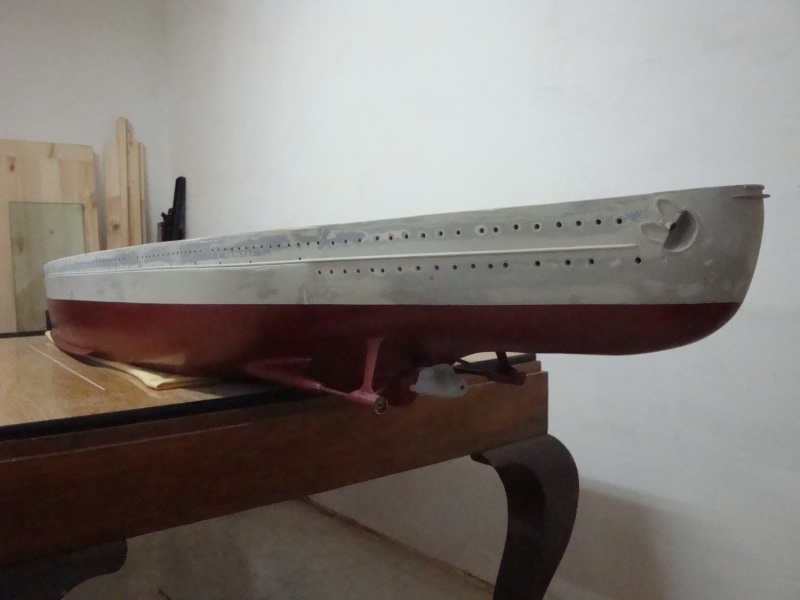 Another view of the Starboard side with all the porthole eyebrows in place. 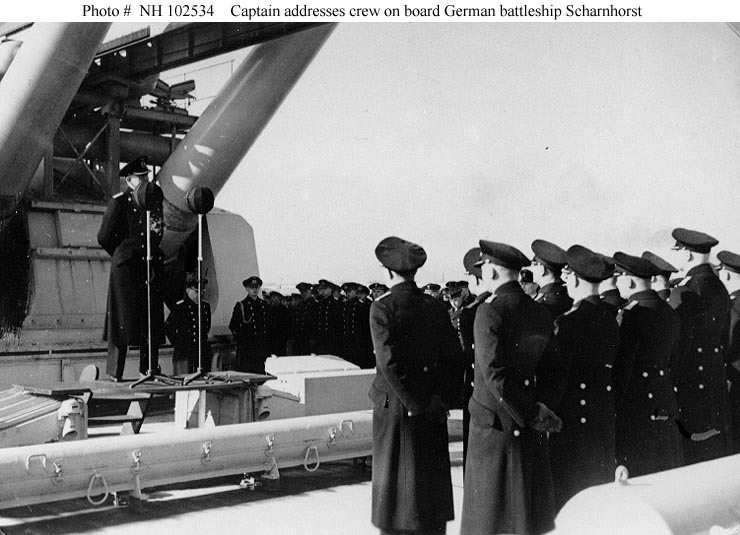 General view of the portholes and eyebrows. 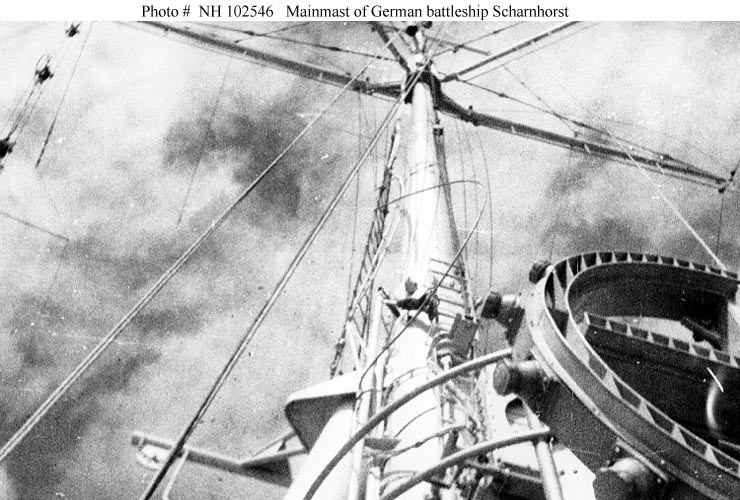 A view of the Stern. 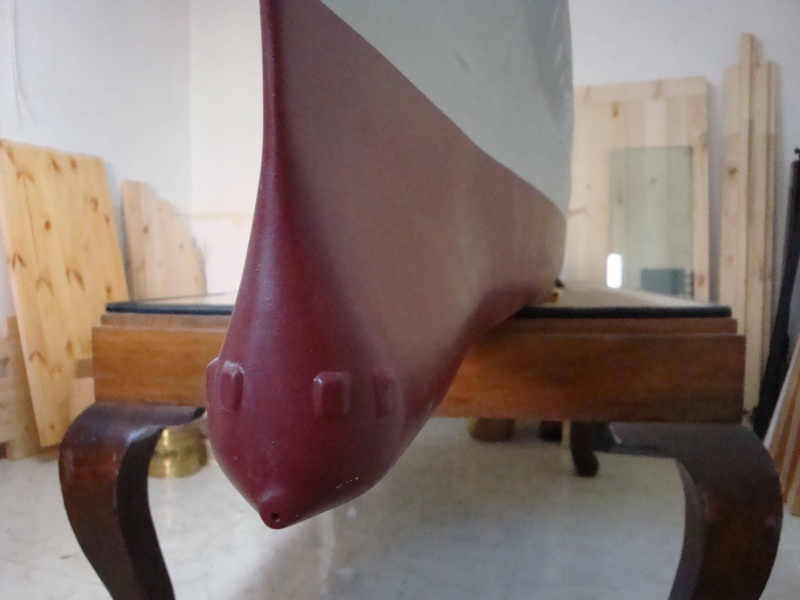 A close up of the bulbous bow, showing the echo sounder, and the raised inspecyion panels. 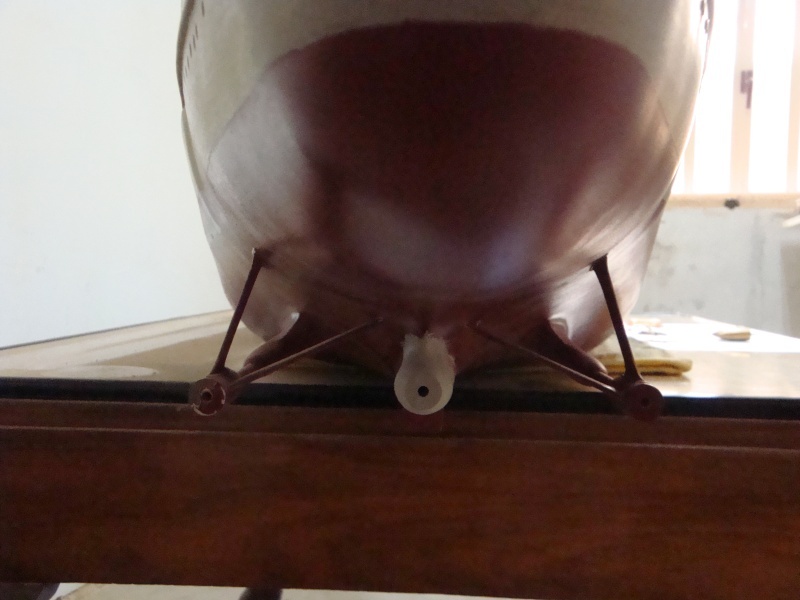 A view of the bows, showing the prop shafts, the "A" type brackets and the middle prop connection. Starting the port holes on the Port side. Genaral view of the port side. Impressive Paul to say the least, what a huge beautiful beast you are building, it will be a life project. Thanks for your comment Brian, yes it will be a lengthy project, but not a life ime job. 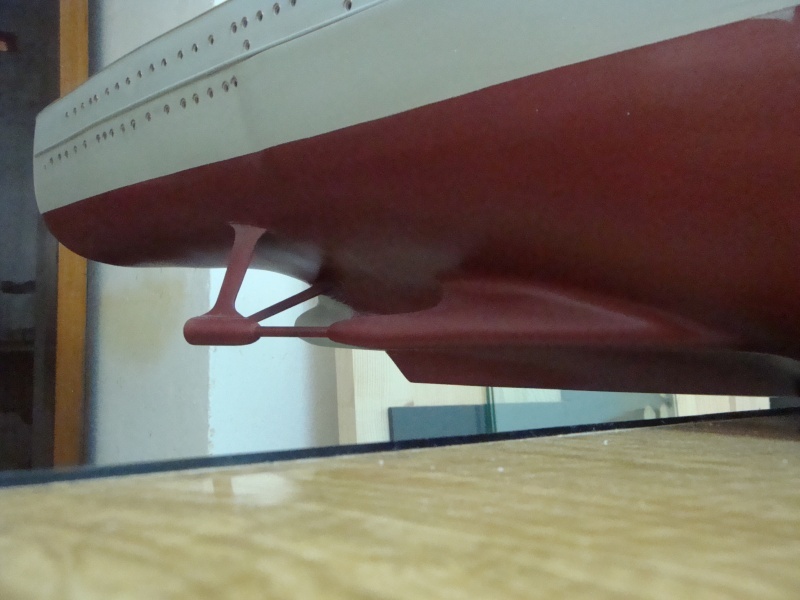 By March the hull details will be finished off pending camoflage and weathering. 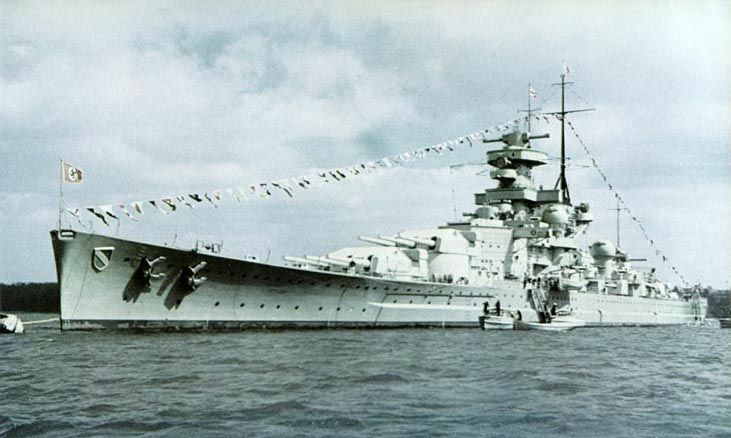 By the end of 2012, I must have the decking and the superstructure ready. 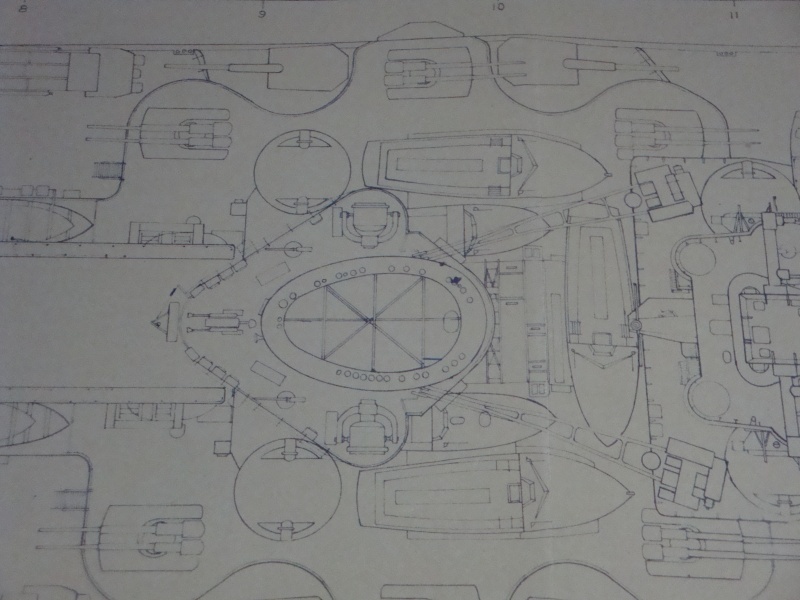 By 2013 and 2014. the ship will be ready to be take the road faring rides for the exhibitions. 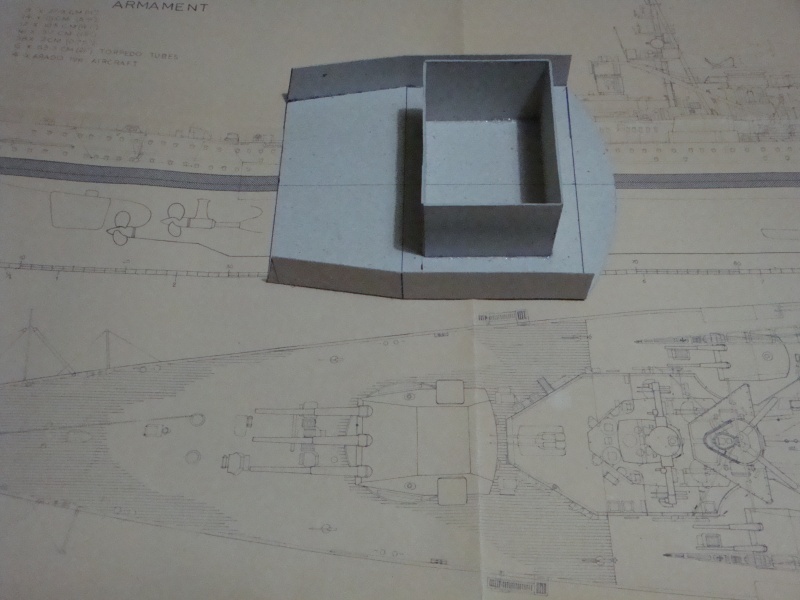 I lost a lot of time with the house and furniture, and now I must really catch up and make good for the lost time, as i have to start on the real project the 1:35th scale K.M.S. 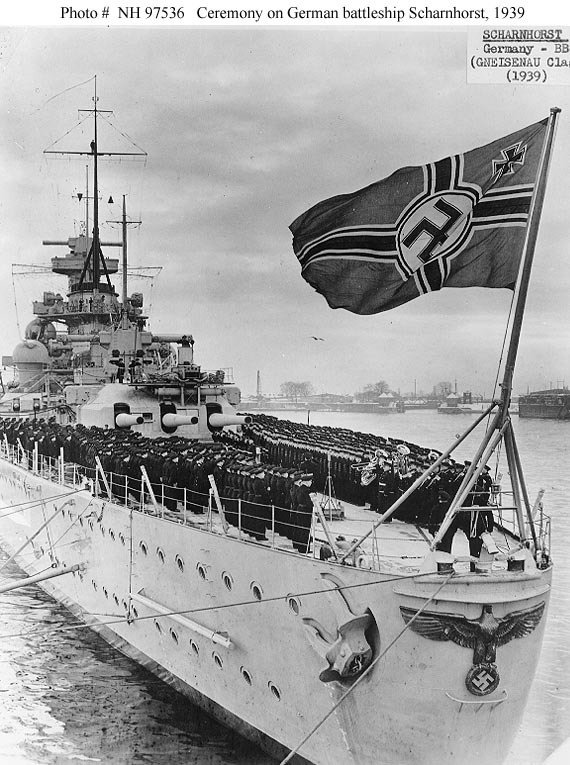 Bismarck. 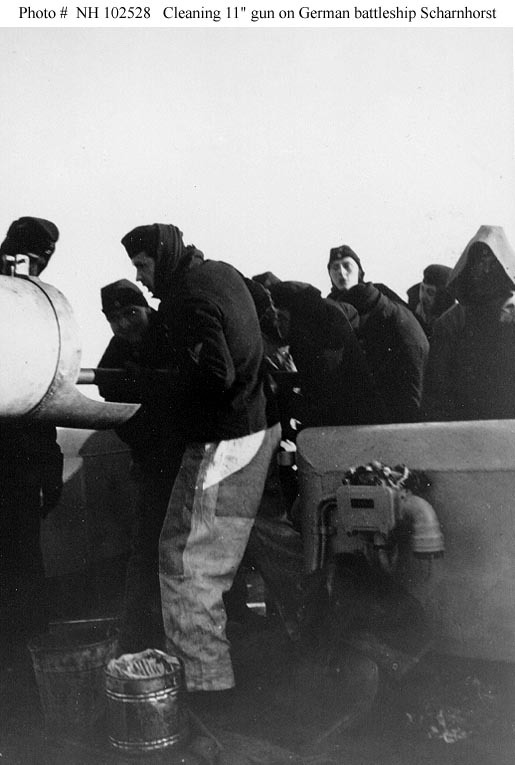 Scheme on the Starboard side. 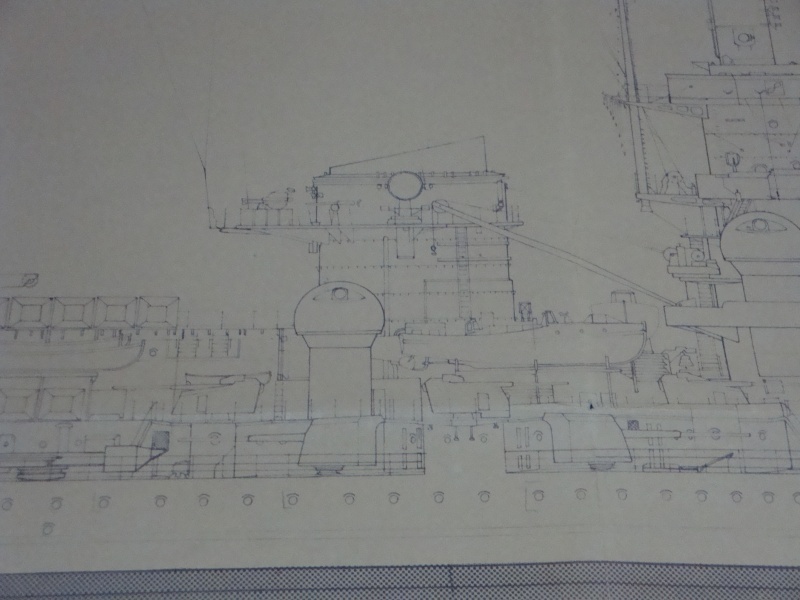 A 3-dimensional view of the ship. 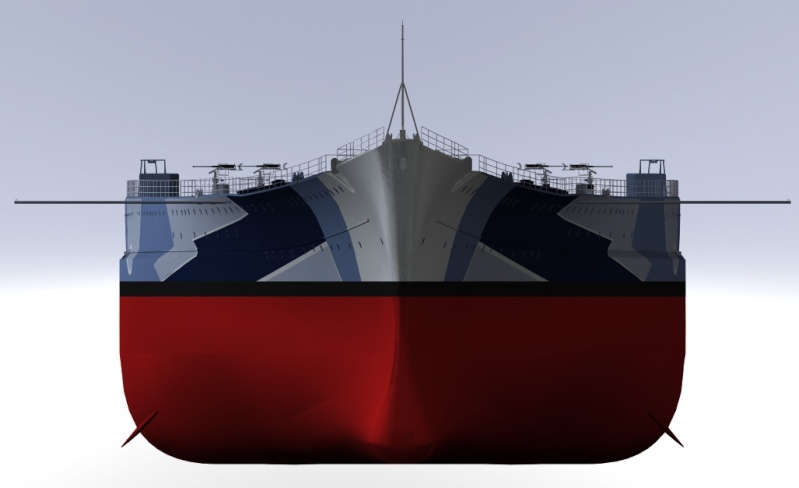 Front view of the hull. What a massive project. You keep surprising us . By any chance are you doing a maginot line? David, do not tempt me. I have enough on my hands for the moment. Thanks Ray, for your comments. the only thing that is worrying me is how to create the shadows and highlights for all the guns and fittings, but I guess I will have to take it step by step. At the end I must decide, or to have the model finished as a museum mnodel, or with some minor weathering and drybruching to highlight the details, or to go for the real thing and finish the model as should be. 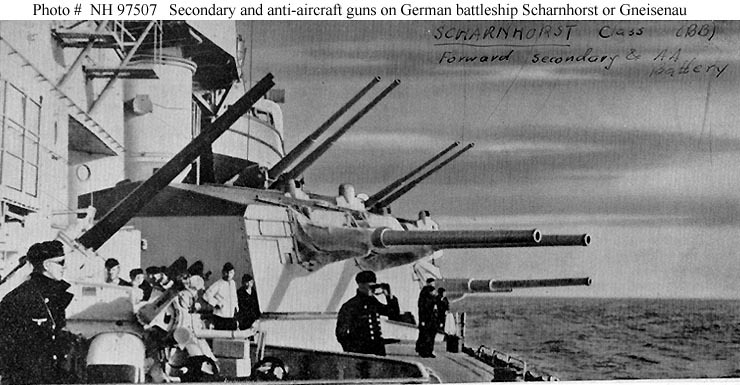 below are some wartime colour photos of the Scharnhorst some time after commissioning, showing the straight bow, prior to the refit to include the atlantic bow and enlarge the bulbous bow. 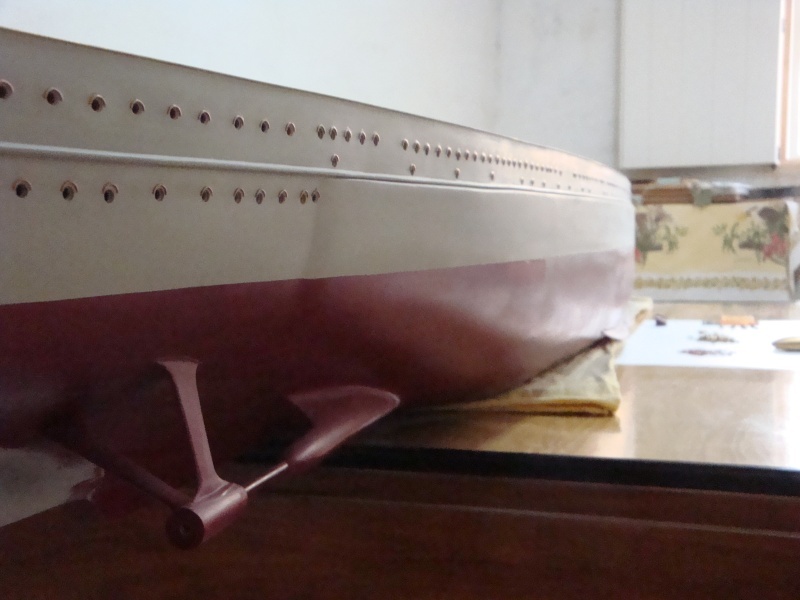 A mammoth of a project ... i respect modellers who take such a challenge! 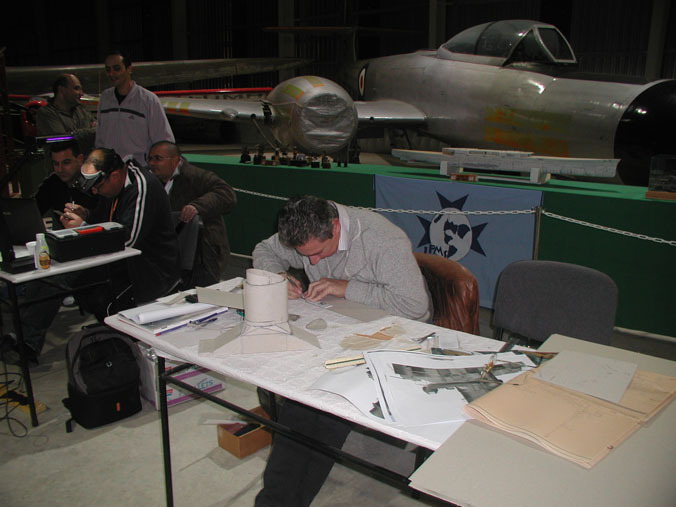 iCocker wrote: A mammoth of a project ... i respect modellers who take such a challenge! You are both right, I know that I have to finish the model in the best way possible. As a matter of fact, I will finish off the full with all the related details in base colour, so that I can display it for the March 2012 Exhibition. 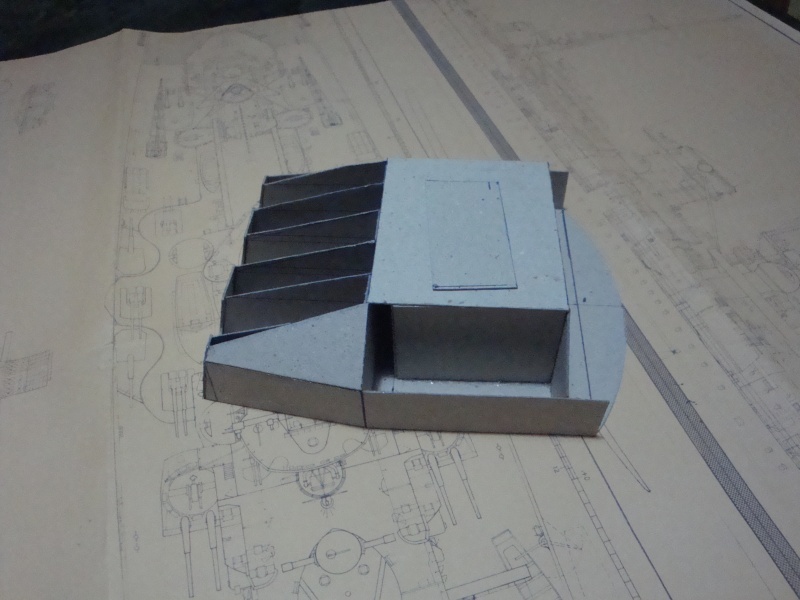 then I will continue with the superstructure, which is a challange in itself. 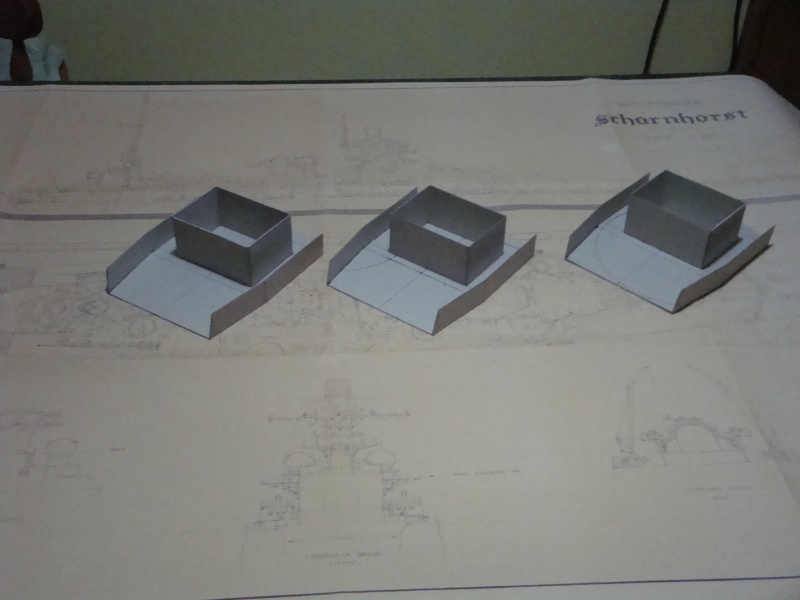 When it's time to have a break, I will continue with the Smaller things, such as the anti aircraft guns and stowage boxes, and experiment with the finishes, to get the optimum result. Next Saturday, I will start working on the Chimney. At least that will surely keep me going during the night. 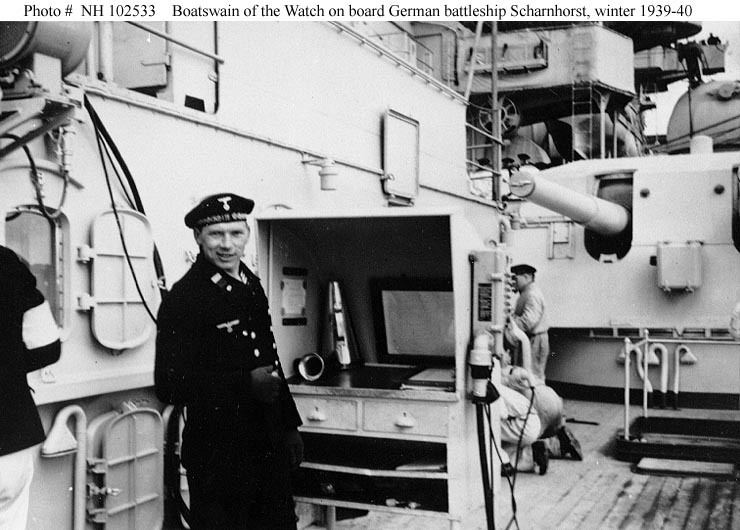 Ivan, with regards to the 20mm Flakvierling installations on board the Scharnhorst, the mountings were were different then those normally used on land. 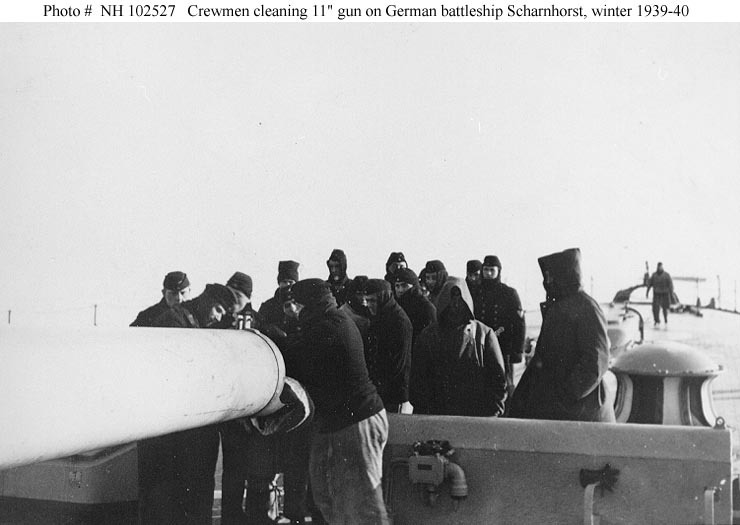 As a matter of fact the Flakvierling was at first intended to be a naval weapon to be mounted only on the Kriegsmarine vessels. but the High Command saw it's ability as a land based weapon as well. tomorrow I will post some pitures of the mounting. 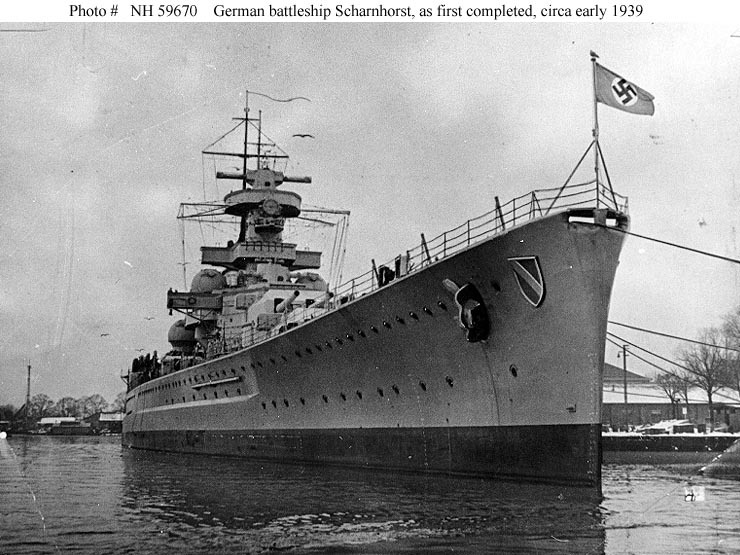 I guess all model ships in latge scale are a huge and difficult task. 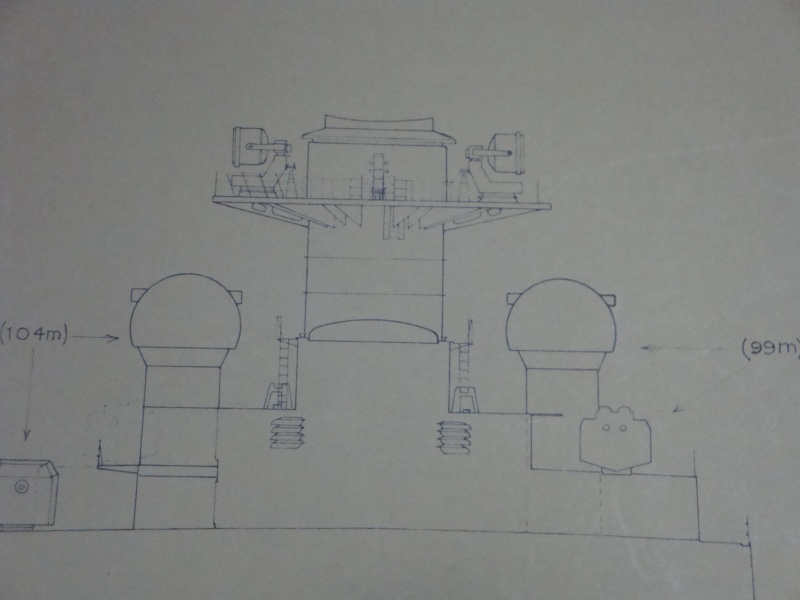 the bigger they are, the more detail you have to add to the model, and believe me, you must include all the details to the last conduit, brackets, bolt heads, rivets and any other ancillary equipment and fittings found on the real thing. 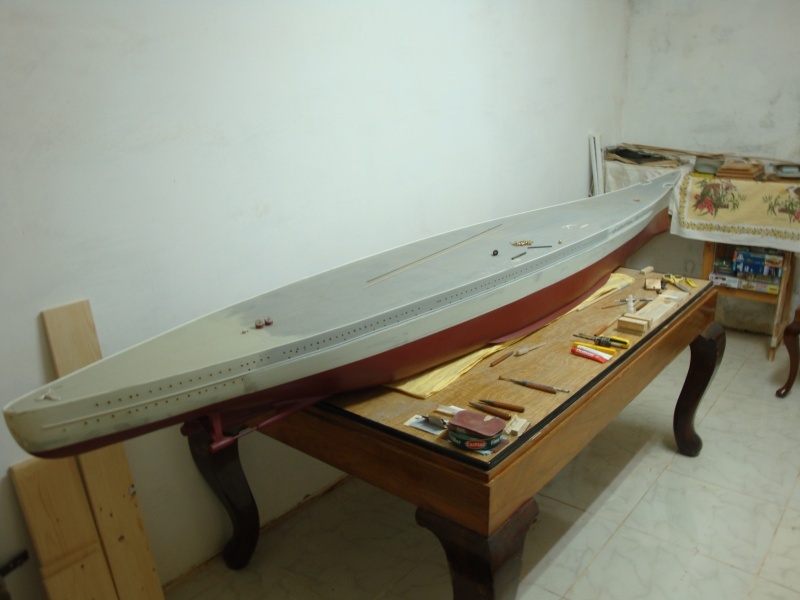 1:48 is a much larger scale then 1:72, so yes you are right David ships in 1:48 scale are a mamoth task, especially the period ship that you are constructing; which was built in the age where copper and brass and shine, was the must and order of the day. Ivan, I fully agree with you, Romeo is doing a great job and a very neat piece of art. I think between the four of us togather, SSM can boast a healthy Marine section. Sorry Paul, I am the latecomer in this thread! 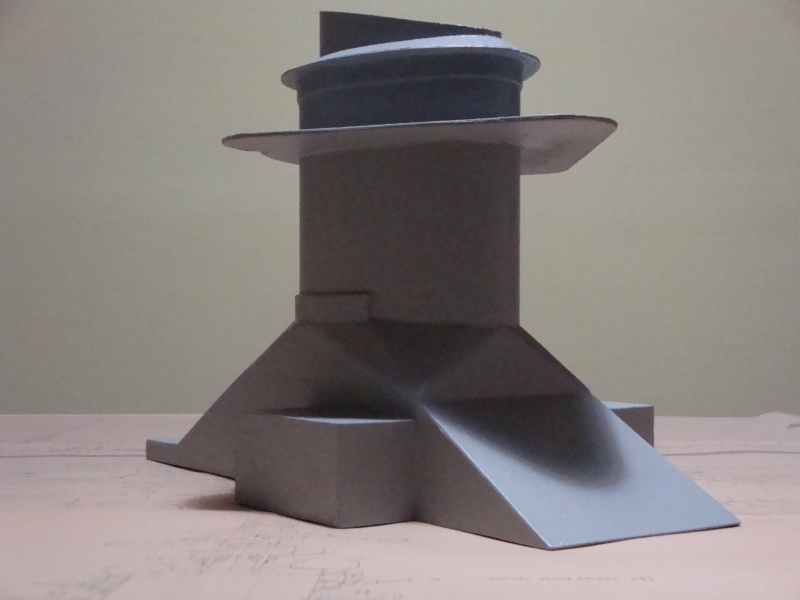 I have no words to express my appreciation of the great work you have done and will be doing on this model. Simply incredible - ejja ha narawh lest! Thanks a lot Nannu Pec. 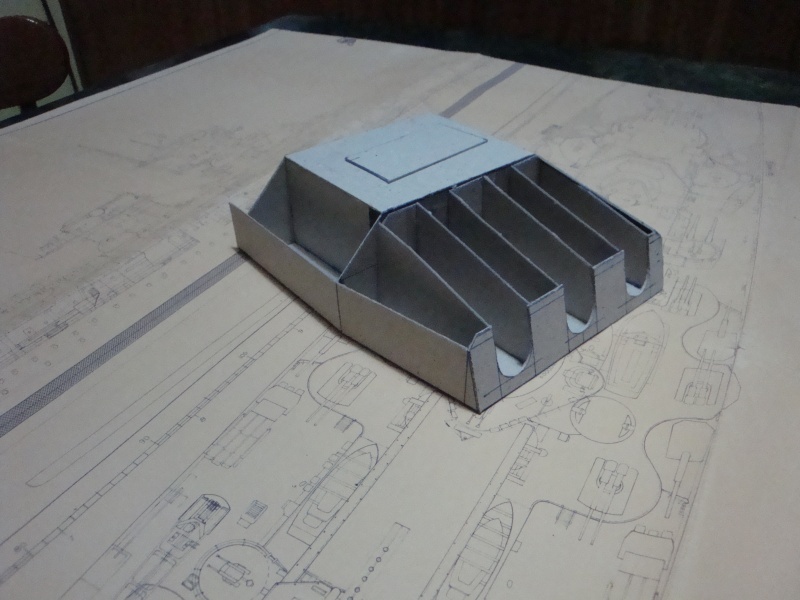 As you know, during the scale modelling marathon, I managed to construct the ship funnel's main structure. 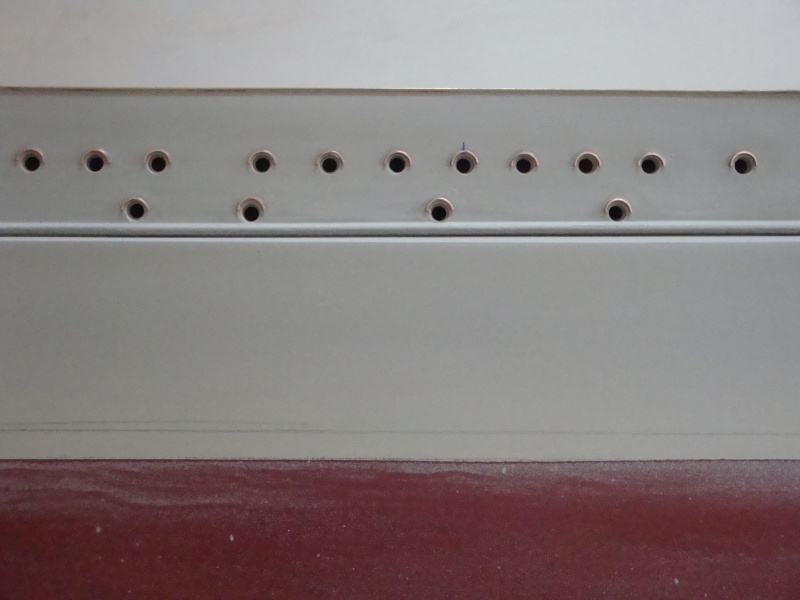 I managed to construct the thing in 24 continous hours with only one hour rest. . At the moment I am working flat out to finish it off at least with the basic coat, so that I can start working on the fittings. 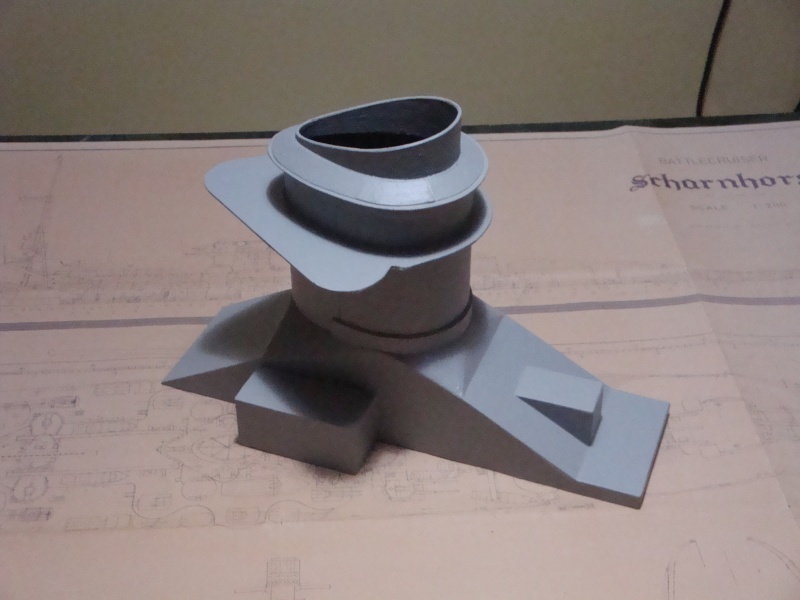 Believe me, this funnel has a lot of fittings and member beams to go with it, so you can imagine what a lot of work is involved. Never the less I will soon be posting some photos of the works in progress. As promised, some more photos of the works in progress. The funnel after applying some rough coats of primer prior to sanding down - view No. 1. The funnel after applying some rough coats of primer prior to sanding down - view No. 2. 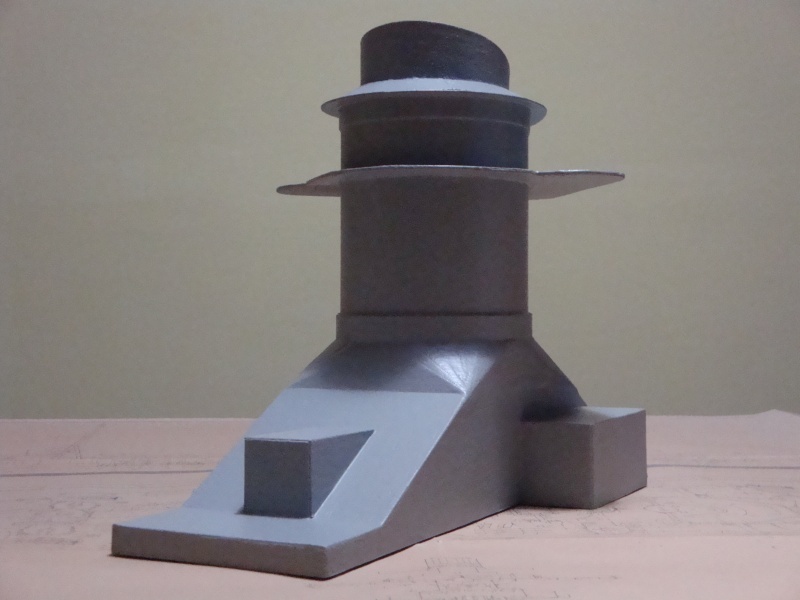 The funnel after applying some rough coats of primer prior to sanding down - view No. 3. You're gaining on her Paul.The marathon raised your steam high.Excellent work. 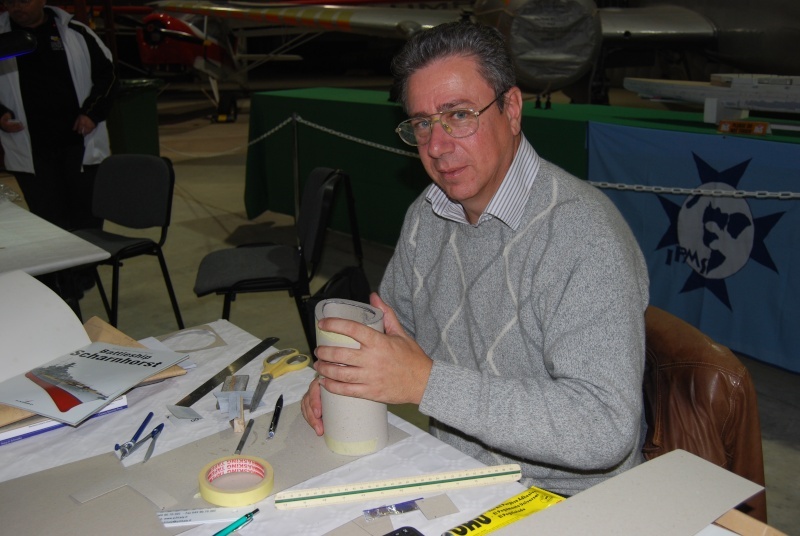 yes I guess the marathon has boosted a good pump up, and am working flat out to have the ship finished for the 2013 exhibition. 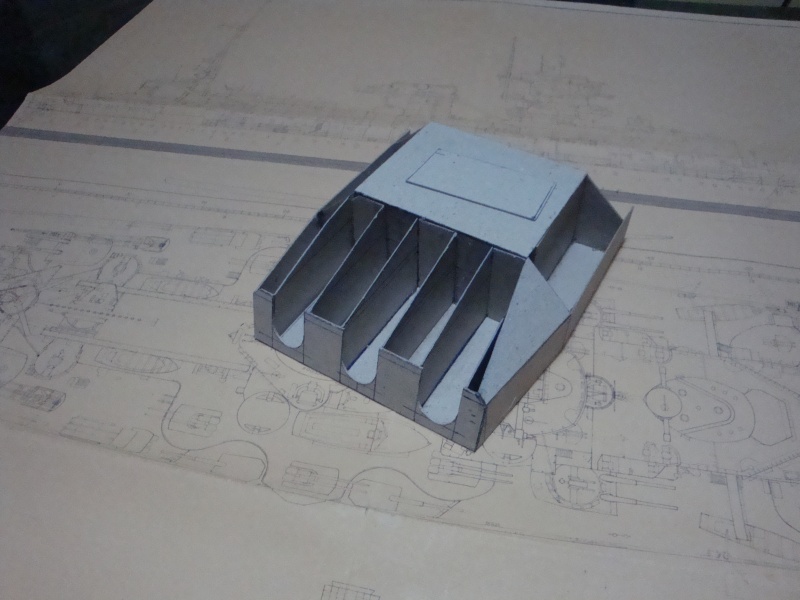 As a matter of fact, this weekend I will finish the basic structure of the main gun turrets, and maybe have some time to turn the barrels on the lathe - 9 of them. 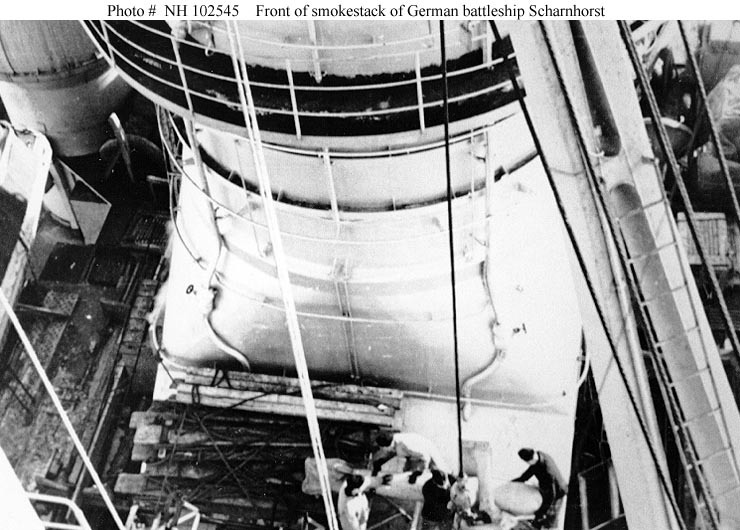 After that i will start on the detailing of the funnel. Get the slipway ready for the launching.